Abandoned when Cavite Navy Yard was evacuated. 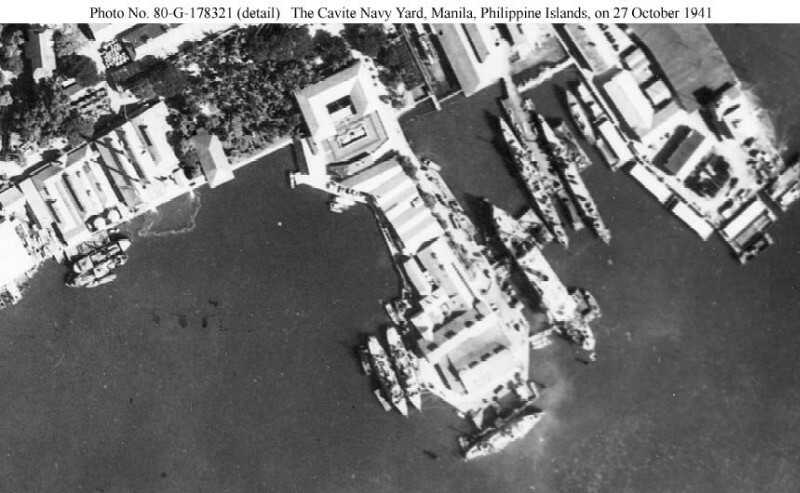 108k Cavite Navy Yard, Manila, Philippine Islands, 27 October 1941. YAG-2 and YAG-4 were under conversion here at this time. The two candidate vessels that are about the right size and type are moored together at the left of the photo while a third is among the larger ships to the right. The larger ships include the submarine tender USS Canopus (AS-9), two four-piper destroyers, a submarine and three Auk-class minesweepers.